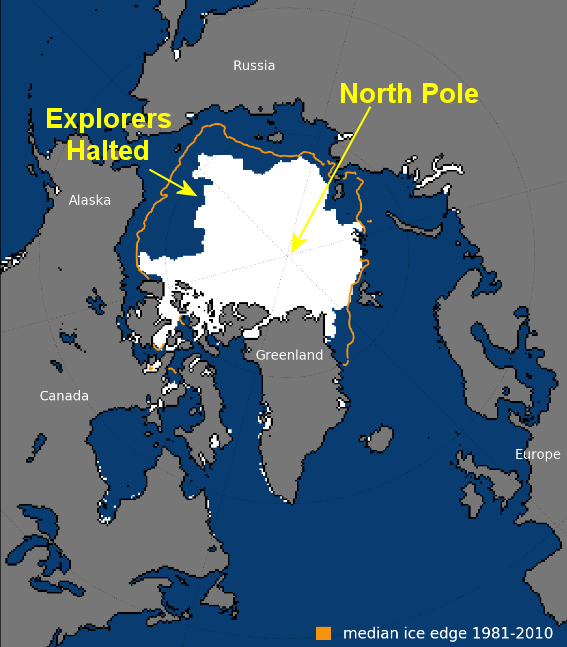 Arctic Climate Explorers give up sailing to the ‘melting’ North Pole because – there’s too much ice! This is significant, more-so as a recent scientist claimed that by the end of Sept 2017, the Arctic would be “ice-free”! 1 Response to Arctic Climate Explorers give up sailing to the ‘melting’ North Pole because – there’s too much ice!